A man was rescued from the Reserved Channel in South Boston on Friday after he was spotted in the water. Rescue crews pulled a conscious and alert man from the water near East First Street in South Boston Friday morning, according to a Boston Fire Department spokesman. The incident was reported around 10:20 a.m., and the man could be seen swimming in the water about 10 to 15 feet from the shoreline, said firefighter Brian Alkins, a department spokesman. The man was in the water for about 25 minutes, he said. 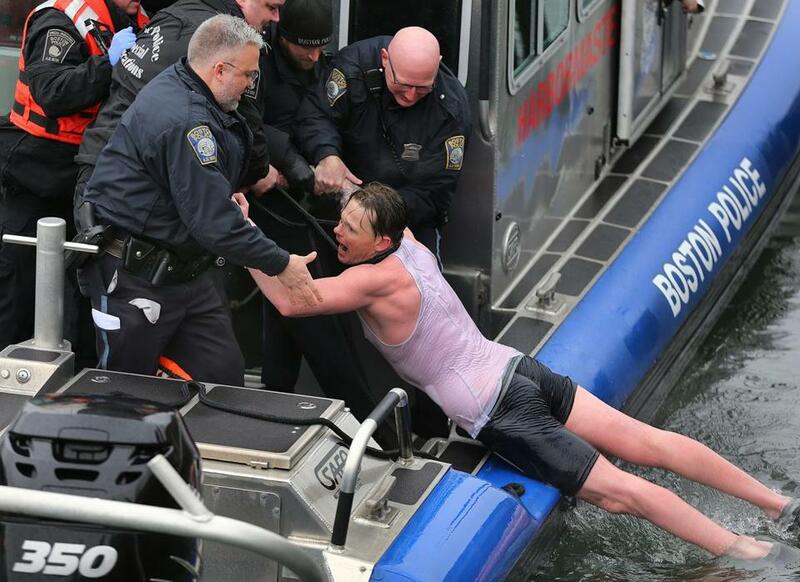 Boston police, firefighters, and Boston EMS who responded to the scene, in the vicinity of East First Street and Pappas Way, were concerned about the man’s safety because of the water temperature and his proximity to boats, Alkins said. “You don’t want anyone in the water, period,” he said. Three Fire Department boats and a police boat were at the scene. Firefighters threw the man a life preserver and a Fire Department diver was sent into the water to retrieve him. But the man swam away from the would-be rescuer, ignored the life preserver, and grabbed onto a metal piling. The police boat then approached the man and got within 5 feet of him. After the man ignored a life preserver tossed to him by police, they were able to get a lasso around him. He then approached the police boat, and officers pulled him on board. The man, who was dressed in a white tank top, black shorts, and water shoes, appeared to be in his 20s. He was transported to a local hospital, according to Boston police spokesman Officer James Moccia. Police are investigating the incident, he said. 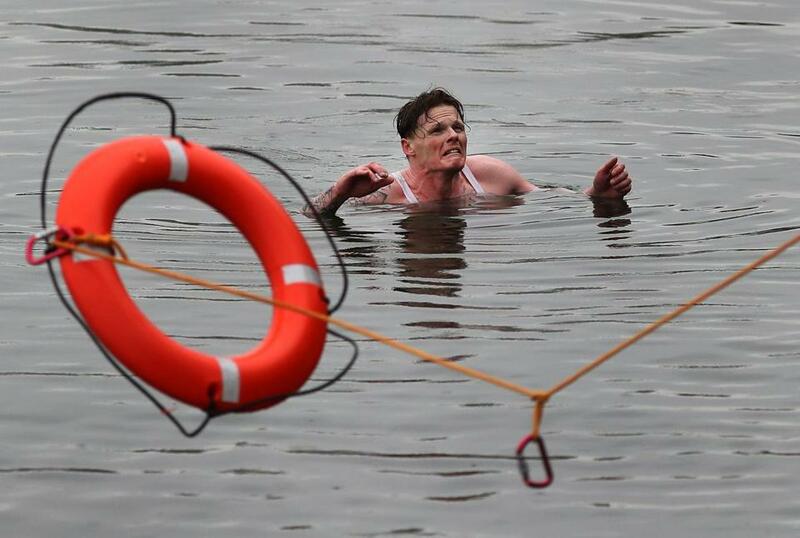 A man was rescued from the Reserved Channel in South Boston.